Infertility is a state or a condition in which a female becomes unable to conceive. From the last few years, infertility becomes a huge issue for females. It affects both the life of male and females. When a female faces this condition then the man marries some else women. This issue almost has ruined the lives of many families. Our hospital has female infertility specialist and male infertility specialist in Lahore. 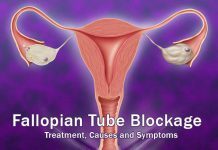 The most common infertility issue is blockage of Fallopian tubes. Fallopian tubes reside on both sides of the female uterus. When a woman lays eggs than from ovaries eggs passes to the uterus with the help of Fallopian tubes. And if the Fallopian tubes are blocked then it causes infertility in females. Ovulation problem is also a common factor that causes infertility in females. Too long, too short, irregular and absent menstrual cycle leads to infertility. In order to get pregnant fast, it is necessary that a female ovary lays eggs. This process is named as ovulation. Age is also one of the most important factors in getting pregnant. As the age of the women increases, her ability to get pregnant decreases. The best age for pregnancy is at the age of 20s. At the age of 30s, the fertility starts decreasing. ZhongBa hospital’s gynecologist Dr. Guofen Liu provides female infertility treatment. Gynecologist treats with traditional Chinese medicines. She is female infertility specialist in Lahore. 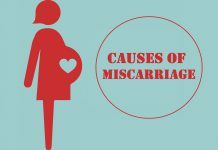 If you are facing infertility problem then I suggest you to visit our hospital. You can also call us at 0336-0158888 in order to get an appointment.